6/12/19: George’s Majestic- Fayetteville, AR - JUST ANNOUNCED! 6/13/19: Cain’s Ballroom - Tulsa, OK - JUST ANNOUNCED! 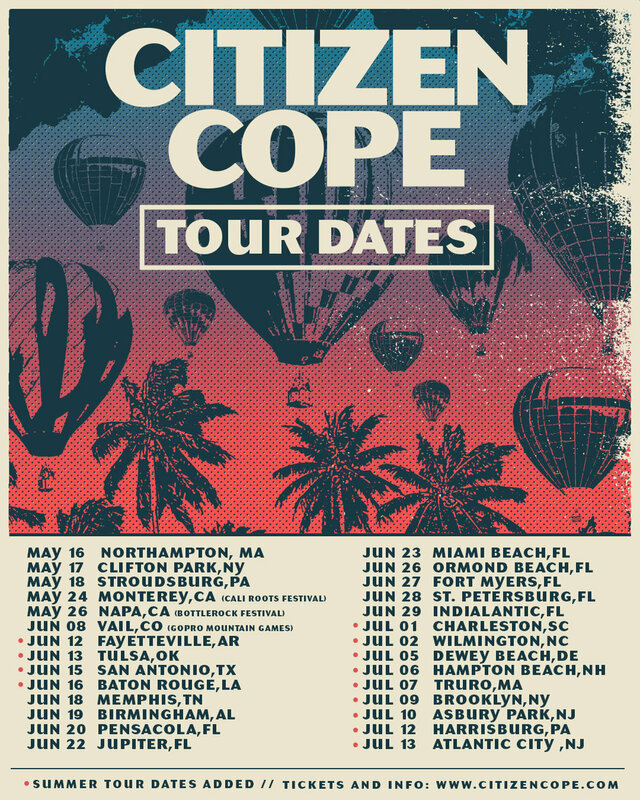 6/15/19: Aztec Theatre - San Antonio, TX - JUST ANNOUNCED! 6/16/19: Varsity Theatre - Baton Rouge, LA - JUST ANNOUNCED! 7/1/19: Music Farm - Charleston, SC - JUST ANNOUNCED! 7/2/19: Greenfield Lake Amphitheater - Wilmington, NC - JUST ANNOUNCED! 7/5/19: Bottle & Cork - Dewey Beach, DE - JUST ANNOUNCED! 7/6/19: Hampton Beach Casino Ballroom - Hampton Beach, NH - JUST ANNOUNCED! 7/7/19: Payomet Performing Arts Center - Truro, MA - JUST ANNOUNCED! 7/9/19: Brooklyn Steel - Brooklyn, NY - JUST ANNOUNCED! 7/10/19: Stone Pony - Asbury Park, NJ - JUST ANNOUNCED! 7/12/19: Club XL Live - Harrisburg, PA - JUST ANNOUNCED! 7/13/19: Music Box at Borgota - Atlantic City, NJ - JUST ANNOUNCED!